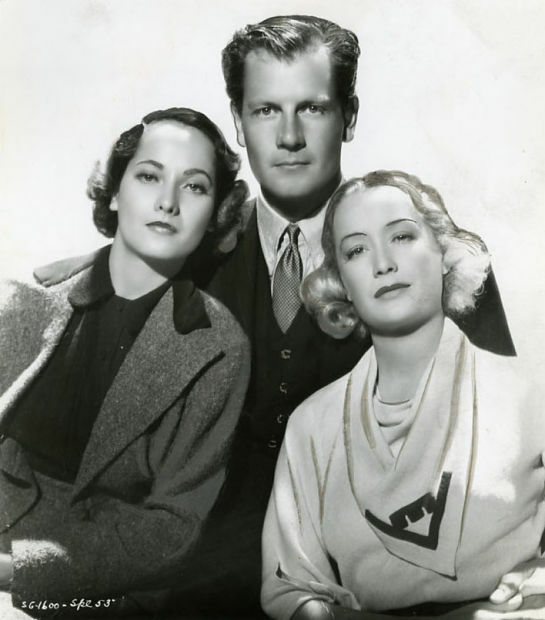 When Joel McCrea was 12 or 13 years old, attending the Gardner Street grade school in Hollywood, Ruth Roland was making serials in the hills above Sunset Boulevard. McCrea, who was big for his age, had an ambition to be a cowboy, and used to hang around and watch the Roland troupe in his spare time and sometimes even was allowed to hold the horses. A New York stage actor came out to play Ruth’s leading man. His job was to be rescued from some dire predicament by the heroine every reel or so. But it took McCrea eight years to get his second film job. Belonging to one of the town’s “oldest families,” he mixed with the film crowd and was on speaking terms with most of the celebrities of the early days. At the Santa Monica Beach Club one day, Conrad Nagel and Mitchell Lewis took McCrea aside and tried to persuade him to give up the idea of acting. McCrea got his first break, just out of Pomona College, when he bought a trench coat and was so proud of that he wore it all the time, rain or shine, around the RKO lot. He picked up some extra work there. He wore the coat so much that Bill Sistrom, who later became an associate producer, finally noticed it. “What do you wear that for?’ Sistrom wanted to know—probably thinking that he had a role that called for it. “Oh, because I like it,” McCrea answered. “What do you do around here?’ he asked. “I’m an actor,” he told him. “How do you know you are?” demanded Sistrom. “Well, I would be if they’d give me a chance!” McCrea replied. “How’d you like to play a lead? Sistrom asked. Archainbaud said no; they already had somebody, and, anyway, McCrea was too big. Sistrom insisted McCrea was the guy for the part and everybody else said he wasn’t and there was a terrific argument but Sistrom out yelled everybody. The next thing McCrea knew he was leaving for Alaska and he had his first major role. He asked Sistrom afterwards how he managed it. It was Louis Wolheim who saved McCrea on that picture. After he’d been yelled at all day for lousy work, Wolheim would jump in and give everybody a hard time for making things tough for McCrea. Then when the day’s shooting was over, Wolheim would really bawl him out. “Why, you dumb, lazy so-and-so,” Wolheim told him. Then he would go over the script with McCrea, word by word. A former university math professor, Wolheim was just a natural born teacher. 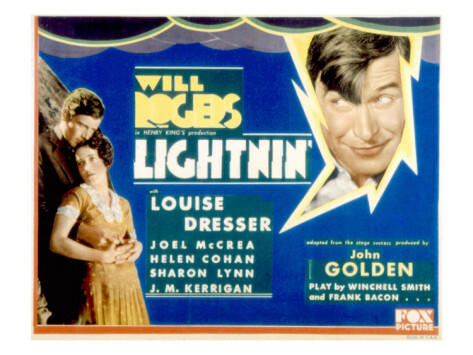 Two roles with Will Rogers in Lightnin’ (1930) and Business and Pleasure (1932) boosted McCrea’s popularity after that. Rogers liked him because he could talk horses and cattle to McCrea and the latter could make intelligent answers. “Winfield Sheehan,” McCrea recalled, “who didn’t know me from Adam, used to see me on the Rogers set, and knowing that I was a friend of Will’s, had his secretary call up RKO every year for three years, one month before my option was up, and offer to put me to work, I think that was the only reason RKO ever kept me. 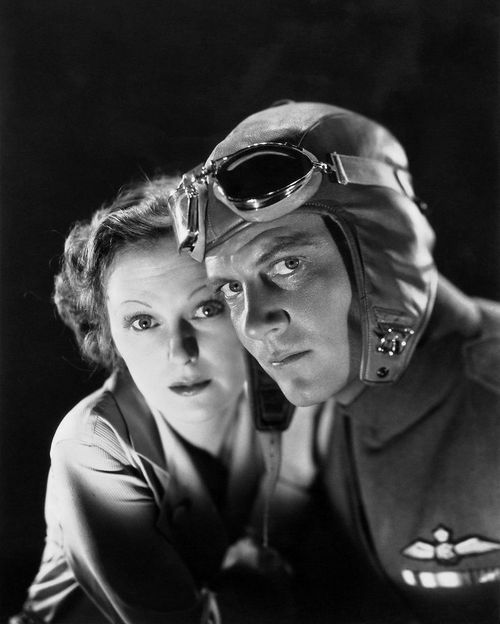 After McCrea made Bird of Paradise (1932) with Dolores del Rio, and the gorgeous tan which he had spent years in acquiring got a chance to be immortalized in celluloid, the studio intended to team him with Dorothy Jordan in a series of stories. That was when McCrea came nearest to inadvertently wrecking his screen career. 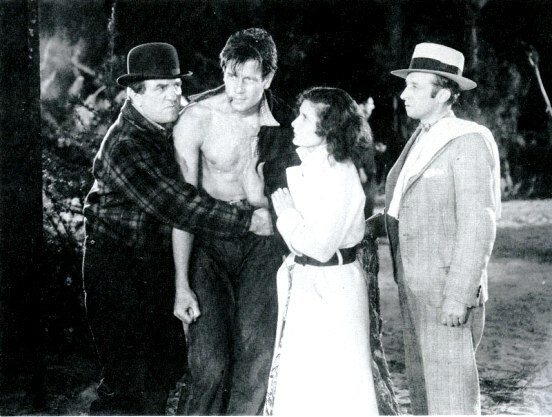 Merian C. Cooper, then production head of RKO, came on the set one day and asked McCrea what he thought of Dorothy. “She’s a swell girl,” said Joel. “Yes, but can she act?” Cooper asked. McCrea had visions of the team breaking up. He’d been spending considerable time promoting himself with the various studio bosses who were flashing through there at the time, and was having a hard time keeping up with the changes in executive personnel. He finally persuaded Cooper that he at least ought to get acquainted with Dorothy Jordan, and when Cooper invited him over to dinner one night, Joel took Dorothy with him, after spending an hour or more telling Dorothy that their jobs depended on her making a good impression on the boss. When they arrived for the dinner, it was one of those “love at first sight” things. McCrea scarcely saw Dorothy for the rest of the evening; within a week she and Cooper were engaged, and very shortly afterward, married. And there went the McCrea-Jordan team. For eleven months McCrea did absolutely nothing but pick up his pay check each Wednesday. Stories had been bought for him and Dorothy. Every two or three months Cooper would hand him a script, say that Dorothy was coming back to work, ask him to study his part and see what he thought of it. One or two of the stories were finally used for Ginger Rogers. Dorothy Jordan decided to raise a family, instead. McCrea had come a long way since the days when Louis Wolheim taught him dialogue. Known as one of the most unspoiled of the younger celebrities, who didn’t kid himself about the part “breaks” had played in his career. His life as a youngster in Hollywood, growing up with the films, had helped him keep his balance while marriage to Frances Dee and a couple of young sons gave him a sense of responsibility. 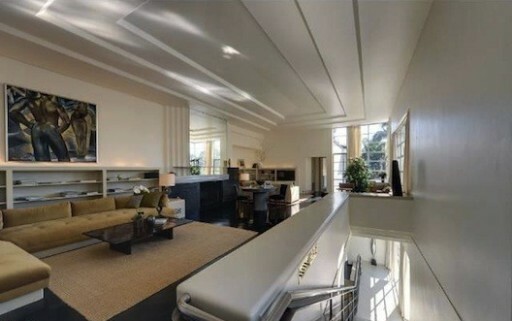 Designed in 1930 by legendary Hollywood art director Cedric Gibbons as a love-nest for Gibbons and his then-wife, silent-film siren Dolores del Rio, the Art Deco-style property in Santa Monica features five bedrooms, six bathrooms, an office, a gym, a lighted tennis court, and separate staff/guest quarters. 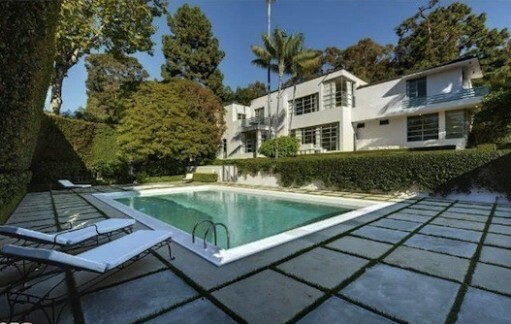 It’s listed at $12.45 million. 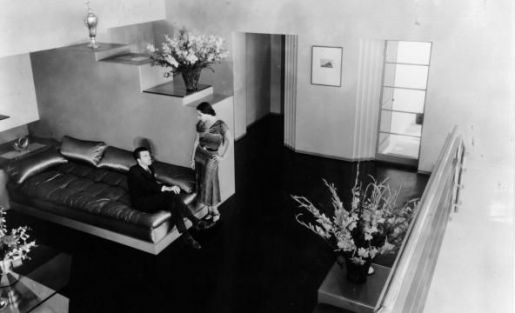 Virtual tour can be found here, and some vintage glamour shots of the house can be found at style blog Poetic Home. 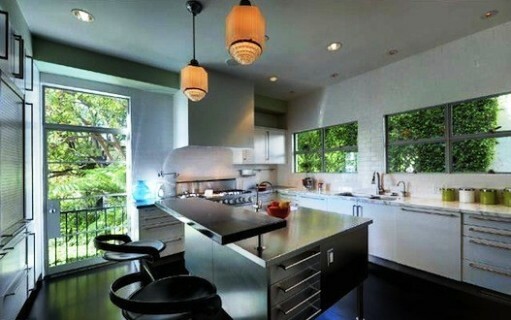 757 Kingman Avenue, Santa Monica, CA. Recently at Hollywood Forever, I discovered that the grave of director Edwin Carewe had a grave stone installed after more than 69 years of being unmarked. I don’t know who marked him but it is always great news when someone that has been forgotten finally gets identified with a marker. 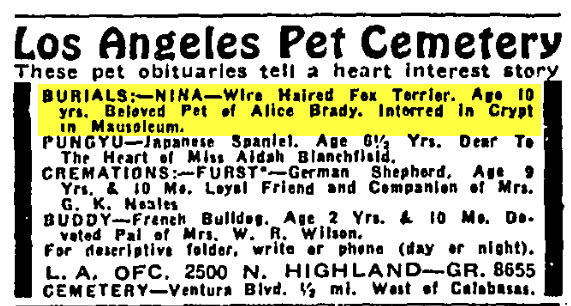 The director, who discovered Dolores Del Rio and many other famous stars, died in Hollywood on January 22, 1940 from an apparent heart attack. 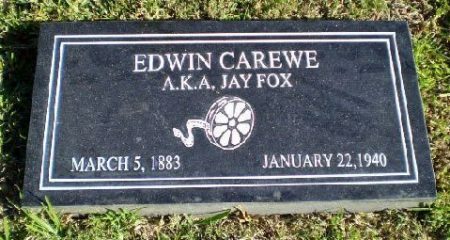 Edwin Carewe was born Jay Fox in Gainesville, Texas on March 5, 1883. He attended the University of Texas and the University of Missouri majoring in dramatics. Early in his career when his flair for acting was expressed, a fellow New York actor suggested that he change his name, thinking that Fox was not good professionally. So he took the name Edwin from his favorite actor, Edwin Booth, and for his last name chose to use that of a character that he was playing in stock. 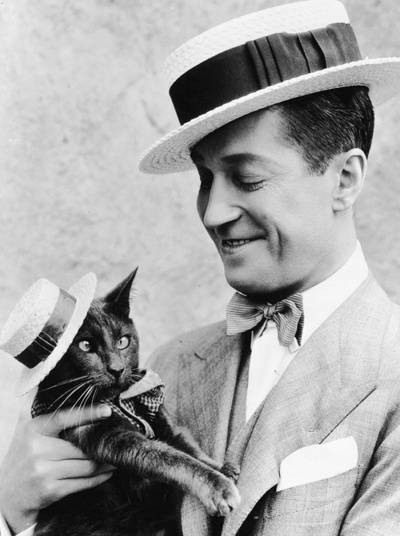 Carewe’s first stage experience was with the Dearborn Stock Company and he made his debut on Broadway with Chauncey Olcott. He appeared in plays with such stage actors as Otis Skinner, Rose Coghlan and Laurette Taylor in New York, Philadelphia, Washington, Chicago and Los Angeles. 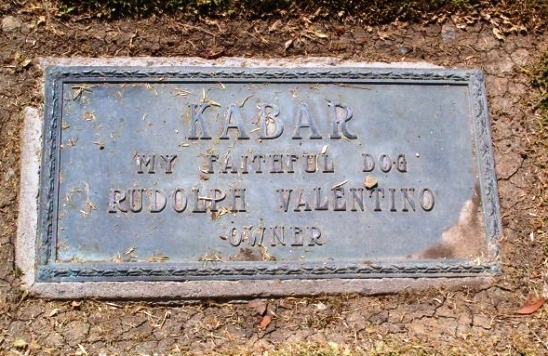 Later, he entered motion pictures in 1912 with the Lubin Company. 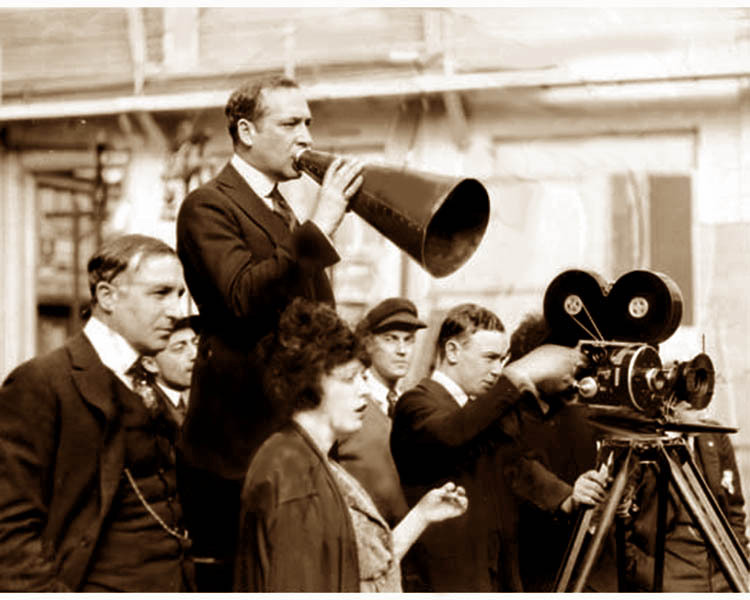 As a director, he produced such films as Resurrection (1927), Ramona (1928), Revenge (1928), Evangeline (1929), and The Spoilers (1930), winning fame for its realistic fight scenes. 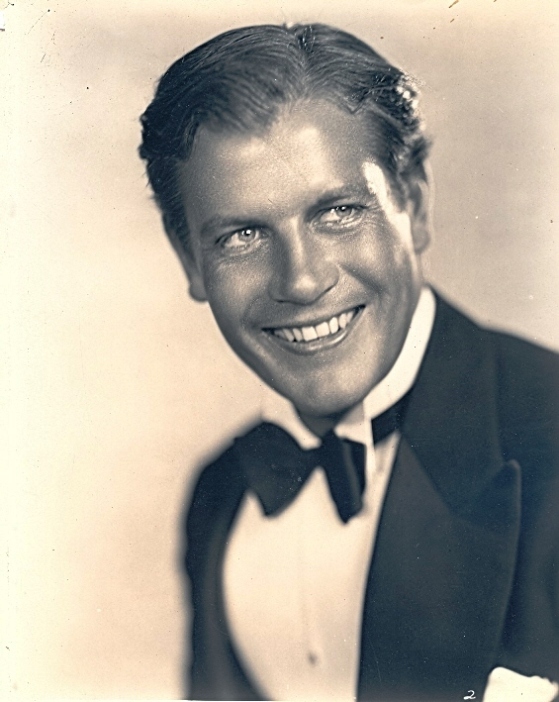 Besides Del Rio, he encouraged the talents of Warner Baxter, Wallace Beery, Francis X. Bushman and Gary Cooper. 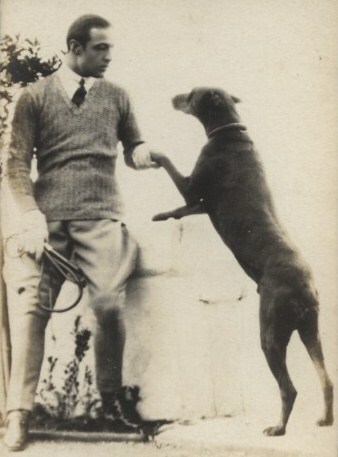 His brother, Finis Fox (1884-1949), wrote many of his scenarios. Over his career, Carewe directed films for Metro, Paramount, First National, Fox and others and at one time had his own lot, Tec-Art, on Melrose Avenue, opposite Paramount, where he made his biggest successes. 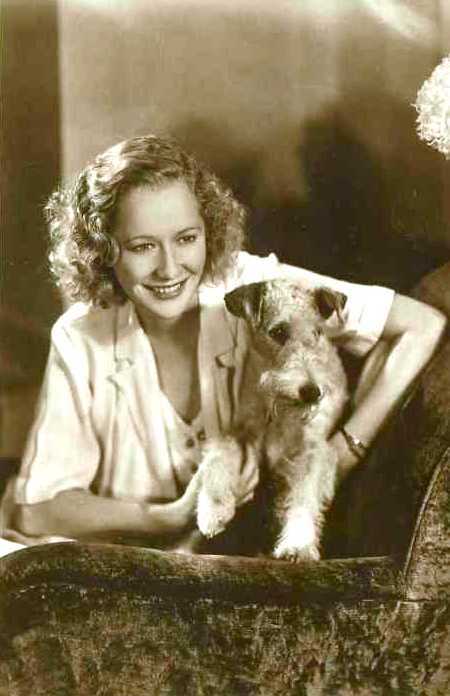 In 1925, he and actress Mary Aikin (whom he also discovered), eloped to Mexico. There he met Jaime Del Rio and his wife Dolores. He suggested that she return with him to Hollywood for a screen career. Carewe helped Dolores Del Rio become one of the biggest stars in silent films. At one time Carewe was considered a millionaire. His percentage on Ramona and Resurrection, both with Del Rio, was close to $400,000. However he lost most of his fortune in a Texas garbage disposal deal. Carewe’s health began to fail in July 1939 when he had a heart attack while driving his car and was taken to St. Vincent’s Hospital. Not wishing to remain in the hospital, his doctor’s would only allow him to leave if someone was constantly with him. He agreed to move to 5603 Lexington Avenue in Hollywood into an apartment across the hall from his nephew, Winston Platt. On January 22, 1940, a doctor was summoned to Carewe’s apartment and administered a sedative to him around 4 a.m. Carewe fell asleep and Platt stretched out on a couch in the next room. At 8 a.m. Platt was awakened and found his uncle dead. 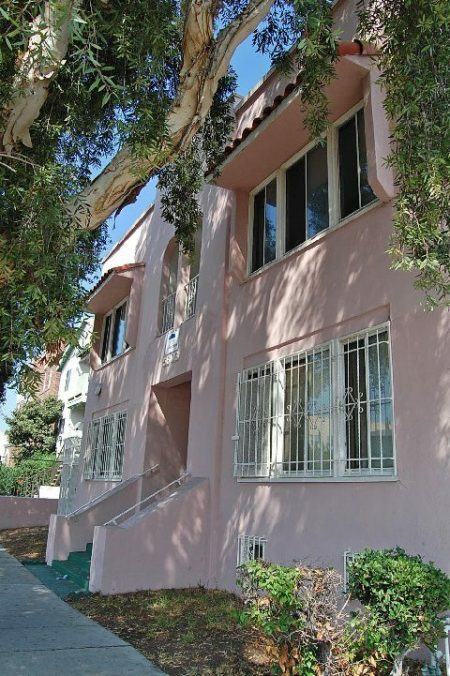 Edwin Carewe died in his apartment here at 5603 Lexington Avenue, Hollywood. Funeral services were conducted at the Pierce Brothers Mortuary (across from Hollywood Cemetery) by Rev. Willsie Martin of the Wilshire Blvd. Methodist Episcopal Church. More than 200 of Carewe’s friends gathered to pay their final farewell. Among those who attended were Dolores Del Rio, garbed in black, who sat in front with her husband, Cedric Gibbons, the art director at MGM. She sobbed throughout the rites. 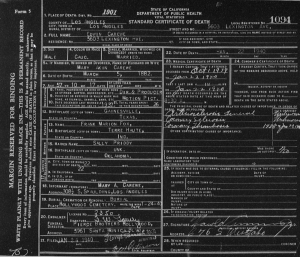 Edwin Carewe’s death certificate (click on image to enlarge). On the whole, the chapel was filled with property men, electricians, cameramen, carpenters, grips, painters, other technicians and friends who made up the director’s crews when he was filming. Others who were present included Charles Murray, Guido Orlando, Rex Lease, Eddie Silton, William Farnum, Ivy Wilson, Wilford Lucas, James Gordon, Hank Mann, Roland Drew, George Renault, John Le Roy Johnston, John Boles and John Hintz. In the ceremony and eulogy, Dr. Martin touched briefly on his pioneer endeavors in films and his making of Are We Civilized? (1934), his final film. 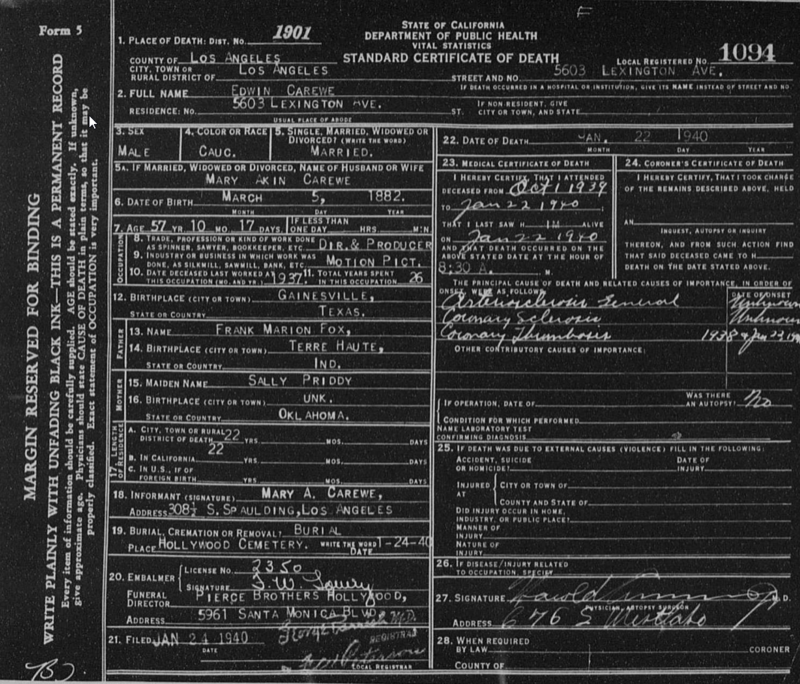 Besides his widow, Mary Aiken, Carewe left five children, Sally Ann, William Edwin, Carol Lee, Rita and Mary Jane and two brothers, Finis and Wallace Fox. 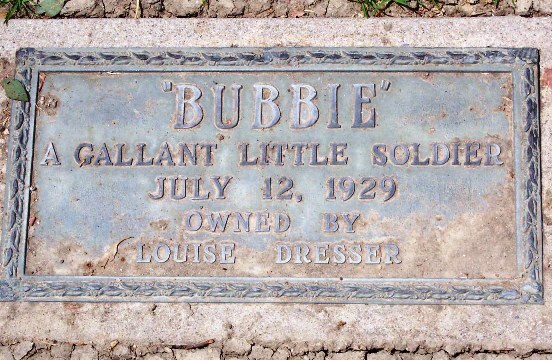 After his interment at Hollywood Cemetery in 1940, Carewe’s grave went unmarked – until recently when an unknown benefactor placed a stone there. Edwin Carewe’s grave is located in Section One, Grave 471, in the northeast part of the cemetery, very near to the east wall, in the same area as Flora Finch. Mix together the sugar, chocolate, cream and salt. Cook over a moderate flame until mixture will form a soft ball in water, or 236 degrees. Stir only to prevent burning. Remove from fire, add the butter, letting it melt without stirring. Let stand in a pan of cool (not cold) water until lukewarm. If it is allowed to cool too suddenly it will become “sugary.” Then beat until thick. Add chopped nuts and vanilla and pour out into a layer ½ inch thick. If preferred, it may be poured first and the nut halves pressed into the surface at regular intervals to permit cutting. Makes about twenty-four squares. 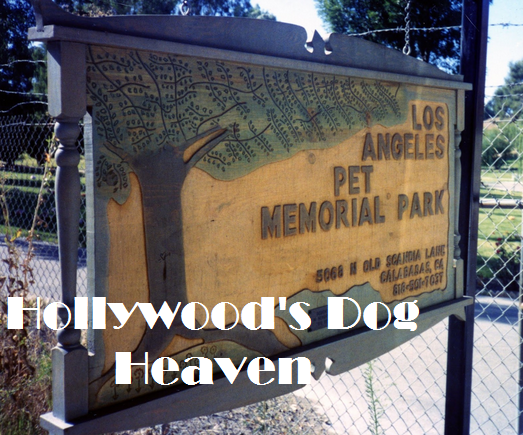 Developed in 1924 for $66,000, De Longpre Park is named after painter Paul De Longpre, whose celebrated home at Hollywood Boulevard and Cahuenga Avenue was the first tourist attraction in Hollywood. On May 5, 1930 (Valentino’s 35th birthday), at twelve o’clock in De Longpre Park, actress Dolores del Rio drew back a velvet curtain to reveal the bronze figure of a man with face uplifted. A week later, neighbors, who insisted that they were not consulted on the matter (and that the only statue in the park should be of De Longpre himself), made an official protest. Regardless, nothing came of the matter and the statue remained. No more was heard of the statue until a few years later when a woman named Zunilda Mancini came forward, claiming to have donated $6,900 towards the statue, which actually cost only $1,500. She sued Valentino’s former manager, George Ullman in court and was awarded the difference of $5,400. The year after the unveiling, a fourteen-year-old girl was found on a bench near the statue. Police said she had been chloroformed and most likely sexually assaulted. She died at Hollywood Hospital without regaining consciousness. Three years later, on November 1, 1934, the caretaker of the park found the lifeless body of thirty-year-old Ann Johnston in a rest room just a few feet away from “Aspiration.” Next to her was an empty poison bottle. Since she left no note, it remained unclear whether her suicide was related to Valentino or, as the police surmised, was due to a nervous breakdown she recently suffered. The statue has been the object of vandalism several times over the years. On February 2, 1952, it was found broken from its base and lying on the park lawn. Taken to the city service yard for repairs, it was not returned for nearly twenty years. Shortly afterward a group of concerned neighbors initiated a campaign to revamp the neglected park. To this day, “Aspiration” is the only monument ever erected to honor an actor in Hollywood. Warning: De Longpre Park is surrounded by a metal fence and locked up at night. Please take reasonable precautions when visiting. If you are in the Los Angeles-Hollywood area this Saturday, August 23, be sure to drop by the Rudolph Valentino Memorial at Hollywood Forever Cemetery. The service is held at the Cathedral Mausoleum and begins at 12:10 p.m. – the time of Valentino’s death in New York. Arrive early as seats go quickly. See you there.